Back to school means LOTS of back to school sales! This is the perfect time for students to purchase their back to school tech gadgets without blowing their budget. However, with so much sales going on at the same time, this can be overwhelming to some and trying to find the right tech essentials can seem like an impossible task. The bag that carries your tech is just as important as the tech itself. Buy a quality backpack since you will be carrying it around every day. 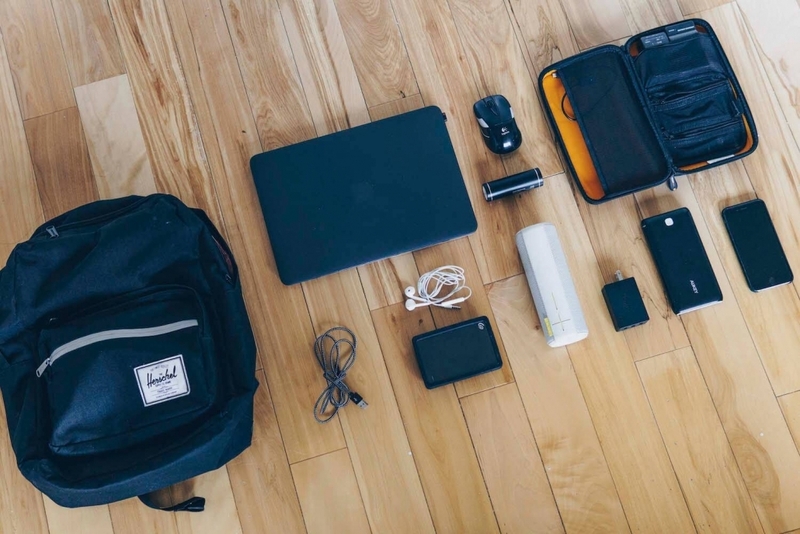 Your backpack should have plenty of room to carry your books and tech essentials. A dedicated laptop sleeve is a must have to protect your laptop from damage. Getting a backpack made of waterproof material will also protect your tech from rain and accidental water spills. There are backpacks out there that come with a built-in USB port. This feature lets you charge your phone from your backpack’s USB port. Just attach a portable charger to your backpack’s USB-port and you’ll be able to charge your phone straight from your backpack. This eliminates the need to dig into your backpack to find your charger while giving you one less thing to hold while charging. There is a large variety of backpack options out there ranging in size, pockets, materials, etc. Find one that fits your personal needs! Carry around a portable charger to keep your phone charged all day. VPLS suggests getting a portable charger with at least 10,000 milli-amps (mAh) to get around 2-3 full charges on your phone. The higher mAh a portable charger has, the more times it can charge your phone. Those with quick charge compatible phones should get a portable charger that supports this feature. Your portable charger should be slim and sleek so you can comfortably carry it around. There are more expensive portable chargers that have a built-in wall adapter. Now you can charge your laptop wherever you are and not worry about finding a wall outlet. 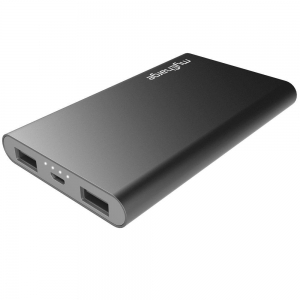 Investing in this type of portable chargers will be convenient for those who travel a lot with their laptop. Since these portable chargers have such high mAh, you can leave these in your bag for weeks and not worry about it running out of battery. You can charge your phone countless times before recharging your portable charger. College students should invest in a quality laptop since you will use it every day for class and homework. Lightweight laptops are ideal for easy portability. 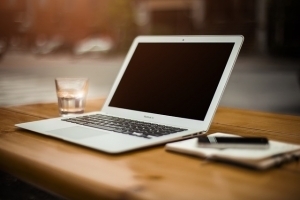 Identifying your needs and budget can make your laptop shopping experience much smoother and simpler. People tend not to bother carrying around a charging cable because there are so many different types of charging cables for each device! Because of this, you should get multiple charging cables to leave in convenient places and not worry about forgetting one. Getting durable, braided charging cables is a must for better cable longevity. Short cables are perfect for portable chargers because there is less cable length that dangles. Long cables are convenient for charging your phone away from an outlet, like when you’re studying in bed. There are cables that have micro USB, lighting cable, and USB C all built in one. 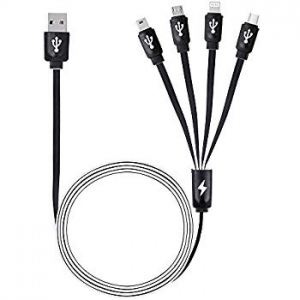 This universal charging cable is perfect to leave on your portable charger. If a friend ever asks to borrow your portable charge, this cable will charge any device your friends may have. Getting an external hard drive is essential in college. You can save all your files, videos, images and projects onto this device. 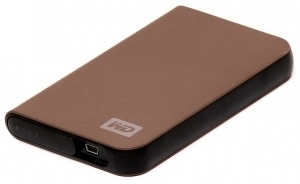 External hard drives can back up your laptop’s memory in case it gets wiped out. Hard drives will save you space on your laptop from classes that require a large amount of memory space. You save memory space on your laptop and make your class files portable. Buying a quality hard drive with lots of storage space will last you through college and beyond. Just take care of your hard drives since they are fragile! Okay, so a water bottle is not technology, but it is essential for school! Carry around a water bottle to stay hydrated during class. 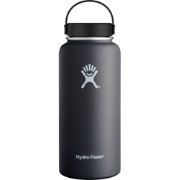 Invest in an insulated water bottle to keep water cool or hot all day. Insulated water bottles help the environment by reducing waste from plastic water bottles. Conveniently, there are many water stations on campus designed specifically to refill these types of water bottles. Stay refreshed and hydrated with quality water bottles. Listen to music on the go by keeping a pair of earbuds and headphones in your bag. Put these on while walking to class, studying in the library, or working out in the gym. Earbuds are portable and more affordable compared to headphones. Get a couple of earbuds to leave them in convenient places. Rather than worrying about carrying one pair of earbuds all day, getting a couple ensures you will always have a pair of earbuds lying around. On the other hand, headphones are a great choice for times when you want to immerse yourself in music. Compared to earbuds, headphones have better sound quality. 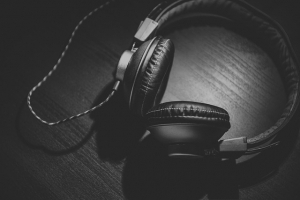 Headphones nowadays have noise canceling features that block all surrounding noise, great for loud places. Modern phones are slowly getting rid of their headphone jack to make a push for a wireless future. Buying wireless earbuds and headphones is a good investment since many phones require Bluetooth. However, Bluetooth earbuds and headphones are not bad at all. Having wireless earbuds and headphones is more practical for everyday use compared to wired ones. It allows for more mobility and freedom to listen to music away from your phone. 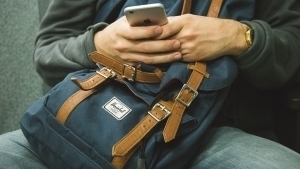 Let’s be honest, you are always within arms reach of your phone almost 24/7 since it is your connection to the world! Similar to a laptop, investing in a quality phone is important. A device that has good specs will allow you to do your everyday tasks on your phone effortlessly. If you need a lot of storage to store files and images on your phone, Android devices allow for expandable storage, unlike iPhones. An alternative to this is saving all of your photos and videos on Google Drive, saving you lots of internal storage. Depending on your personal needs, a good camera is also important. If you are active on social media, a good camera allows for better quality posts. If you don’t care about taking pictures, you can find a cheaper phone with the same specs and a different camera. Battery life is important on a phone. It’s frustrating to have a phone that runs out of battery only halfway into the day. 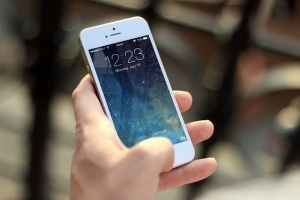 Smartphones nowadays are becoming more powerful, requiring more battery to power it. Take into consideration storage, camera, processing power, Android/iOS, durability, and price when picking a phone for school. We hope that you find our tech picks for back-to-school essentials helpful and enlightening. We understand that preparing for school can be very stressful, but when you have the right equipment, you can rest assured knowing that you have set yourself up for success for the upcoming school year. Don’t forget, VPLS is a Fortinet Gold Managed Security Service Provider, to provide maximum security for all your web and database server needs.